Cream of wheat Farina has a delicate texture and after hardening, retains shape, which is important when making cakes. It enjoys great popularity among both professional cooks and Housewives. In Russia semolina was produced in small quantities, which is why it was applied only to the table of the rich. The common people about the existence of the monkey was not even suspected. Only in the USSR semolina became a public product on which a whole generation of Soviet children. Today, semolina is prepared not only porridge, but also various casseroles, puddings, meatballs and more. Pastry chefs use this cereal to prepare a delicate and delicious cake frosting. - lemon – 0,5 PCs. Semolina pour a small amount of cold milk. The resulting mass stir to remove all lumps, and only after that add the remaining milk. To cook porridge should be prepared on slow fire, constantly stirring it. The finished porridge should be cool. Keep in mind that sleep cereal in hot milk, as is done in the traditional cooking of cereals is not necessary. Manna porridge for the cream should be thick, if it is a bit watery, leave it on low heat for another 10 minutes but stir constantly. Whisk in another bowl the softened butter with sugar by mixer. For this approach the average rate. Add in beaten oil zest of half a lemon. It will give the dish freshness and will give a special flavor. Zest – it is the most common lemon rind, just grated on the smallest grater. Add semolina. By this time it has to cool down completely. Now all another good whisk. First, the cream will be soft but if you put it in the fridge for a while, he slightly will freeze slightly and it will be easy to make roses for cake decorating. Cook porridge, as in the first recipe, then cool and add condensed milk. The resulting mass whisk thoroughly, then add butter and again whisk. You should get a homogeneous mass of air. Add the lemon zest and mix everything again. Cream of semolina with condensed milk is sweeter and with a strong taste of condensed milk. Serve it as a delicious dessert, or use to soak the cake. Semolina known since childhood, someone loves it and someone hates it. But Manne cake will surely be enjoyed by many. It is very gentle, airy and melts in your mouth. Sometimes you want to indulge in something sweet, but store-bought cakes are too nutritious, and homemade cakes takes a lot of time for cooking. 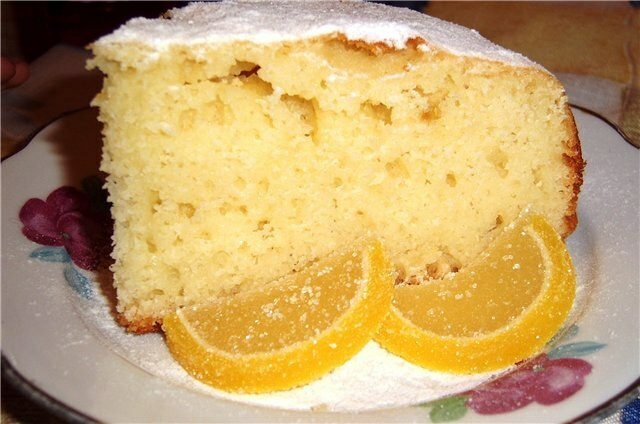 But there is one wonderful recipe Manne cake that is prepared quickly and tastes great. Semolina is not only useful, but tasty food. Basically, semolina is cooked, it is well digested and absorbed, filling the body with strength and energy, as consists of valuable plant protein. But even with the help of this cereal can be cooked tender cake that will surely delight you and your family, and they will ask you to share the secret of its preparation. This Manne the dessert will have different tastes, if from time to time you will come up with for its new impregnation cream. First, make a simple manna for cakes. Take semolina and fill it with fresh yogurt, stir and set aside to swell for about 20 minutes. The more to swell the grains, the milder it gets manna. Mix all dry ingredients: sugar, flour, soda and salt. It is advisable to take more dishes to easily add other products. Melt the butter and add the egg. Whisk and pour the mass in the swollen semolina. Then whisk well again, then gently and gradually add the flour, stirring until smooth to avoid lumps. Grease the molds with oil and evenly pour batter. Baking time will depend on your oven, just be careful that manna is not burnt. Once the cake is ready, allow it to fully state. Meanwhile, prepare the cream. To do this, simply add the cranberries to the sour cream and beat with blender. To your taste you can cook any other cream: berries, fruit, cream or jam. 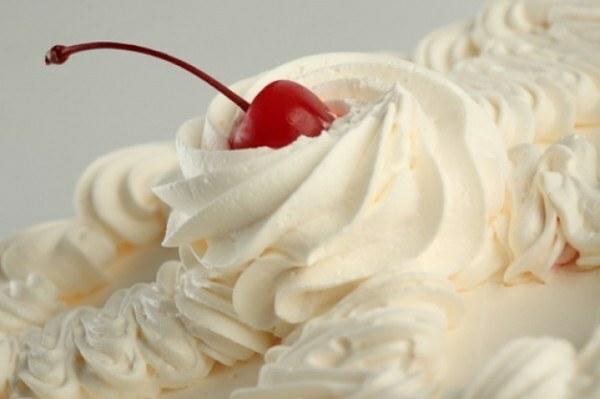 You can even combine several options of cream, then the cake will turn out more refined and unusual. Manna cut into three equal layers and brush them liberally with cream. Garnish this dessert pie with grated chocolate and nuts. Manne serve the cake to the table on a big beautiful dish.